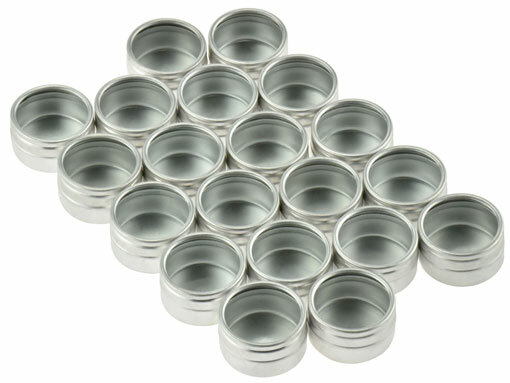 Silver Colored Aluminum Canisters (20 Pack) 1-1/4"
Our aluminum canisters with clear glass pull–off lids are cool. 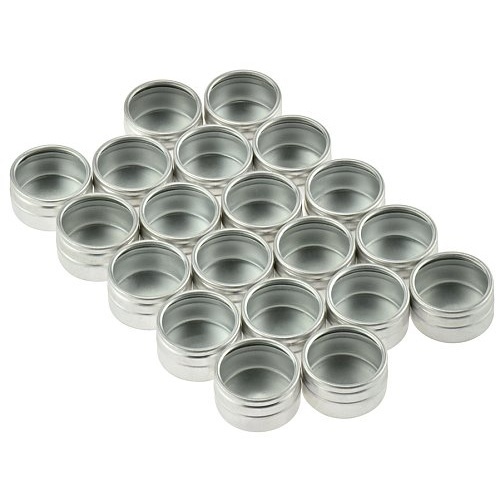 The smaller canisters are aluminum–colored, a set of (20) 1–1/4” dia x 3/4” deep in a 6–1/2” x 5–1/4” x 7/8” lightweight aluminum box with a hinged lid. 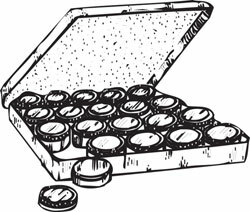 When the box is shut, a layer of foam padding inside the lid presses down on the canisters, keeping them securely closed. If you need slightly larger canisters, and a cardboard box will work instead of a carrying case, try our colorful display of anodized tins. They are packaged in sets of (12) and come in great assorted colors and are 2” dia x 7/8” deep. 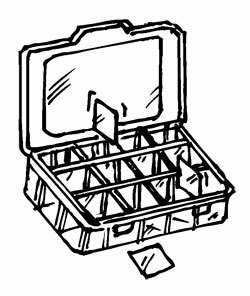 Each is an ideal carrying case for paints, many different screws, or other sets of small items or quantities that must remain separate. Prices are per set. A fussbudget's dream. 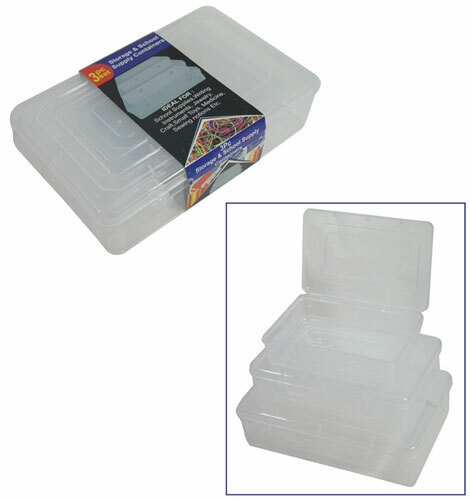 This set of (3) polypropylene snap-lid storage boxes nest one inside the other so they're all neat and tidy even when you're not using them. The IDs measure, from small to large: 6-1/4" x 3-7/8" x 1-3/8", 7-5/8" x 5" x 1-5/8", and 8-7/8" x 5-3/4" x 2". We'll pick a set in green, teal, magenta, orange or translucent white. For fashion-forward machine-gunners? 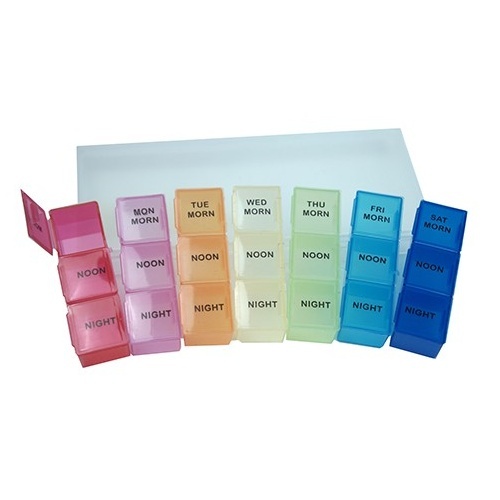 No, for keeping track of medications. This is like a pillbox on steroids. Has (21) 3/4” x 7/8” x 9/16” compartments, marked Morn/Noon/Night for each day, with a separate color, in reverse spectrum order. Whole thing measures 7" x 3-1/4" x 3/4" in translucent plastic, with snap locks. 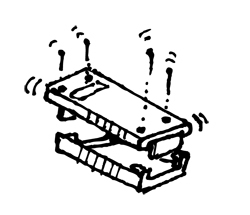 Each 3-part day is also a separate section that can be carried alone, with snap-lock tops. It just ain't gonna spill the beads. 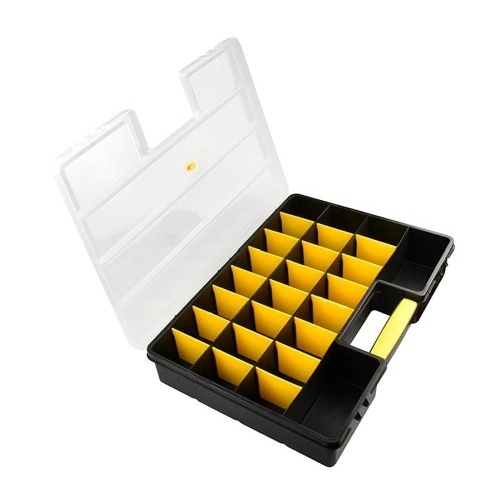 Or the fishhooks, or screws, or whatever you're storing in the 7-1/2" x 5" x 1-1/2" deep Store-in-It box. 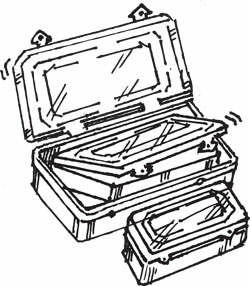 The translucent-plastic box with (1) 3-1/2" x 1-1/4" and (10) 1-3/4" x 1-1/2" compartments has a hinged lid that not only snaps shut, it has an extra little security latch. Rounded bottoms in the compartments make it easy to pluck out even the smallest items. 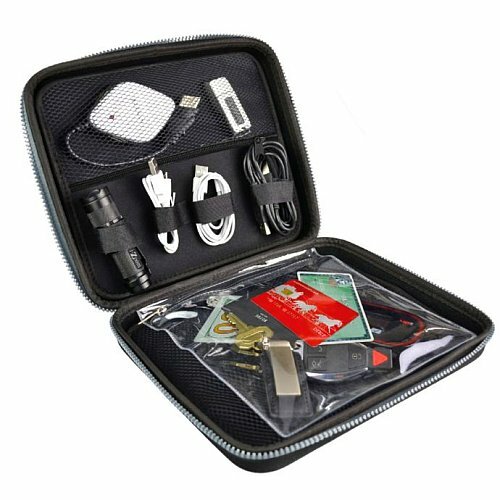 Sounds like the Grand Poobah of the IT Guys International, but it’s really a nifty little 9-1/2” x 8” x 2” nylon canvas case from GeekTEK® for carrying assorted cables and other electronic paraphernalia. 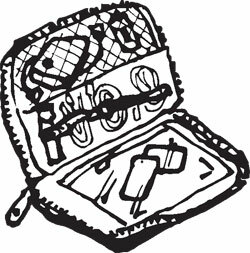 Has (3) mesh compartments, (4) elastic slots, (4) hook-n-loop cord ties and a clear sleeve with zip to hold discs or small parts. Also has a three-side zip closure and a handle on the top. Dougie loves his to hold all of his gaming gear. 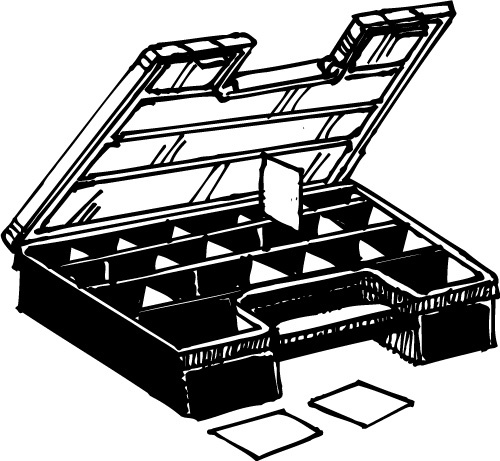 Do you hate it when the spaces in storage boxes are bigger than the stuff you’re storing? 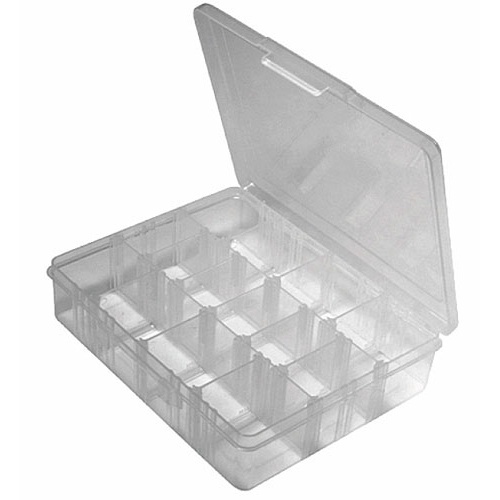 You need this translucent plastic (polypropylene) box with (14) storage sections that can be customized by sliding the (13) dividers into your choice of (24) sets of slots. Measures approx 7-3/4" x 6-1/8" x 1-7/8" deep with a snap lid. Just like (pretty much) the old steel ammo can GIs carried, and then carried home to their garage workshops, but in olive drab or black plastic, which doesn’t rust. 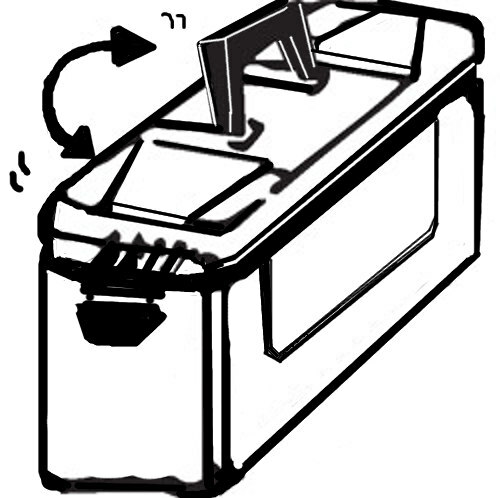 Measures 11" x 7" x 5" with a gasketed flip-up lid, 3” latch and a 5-1/4” folding handle on top. Weighs in at a little over a pound. Please Note: Our current stock is black and not sure when olive drab will be back. 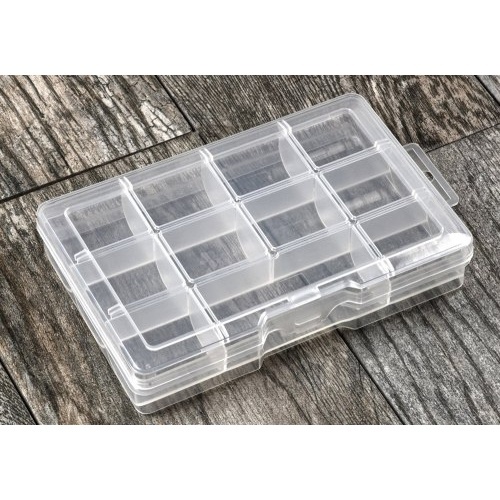 This deluxe ABS storage case is called a Store-It-ALL, and it does. 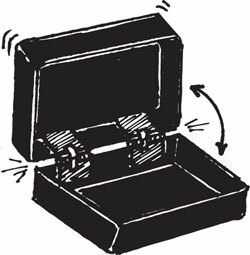 But it could be called a Carry-It-ALL, for the sturdy handle and locking clasp, or it could be called a See-It-ALL, for its translucent lid. 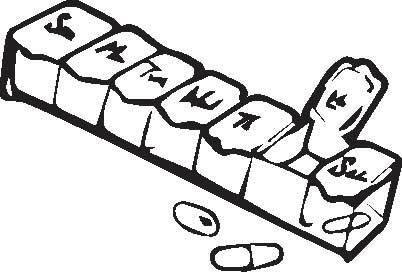 Or a Fits-It-ALL, for the removable dividers that let you configure it with any number of compartments from 5 to 26. But the 12" x 18" x 3" OA case should really be called ALL-I-Ever-Needed-To-Get-Organized! Project boxes for every project. You pick the black ABS box with PCB slots along all four internal edges, (13) on the long sides and (7) on the short sides. 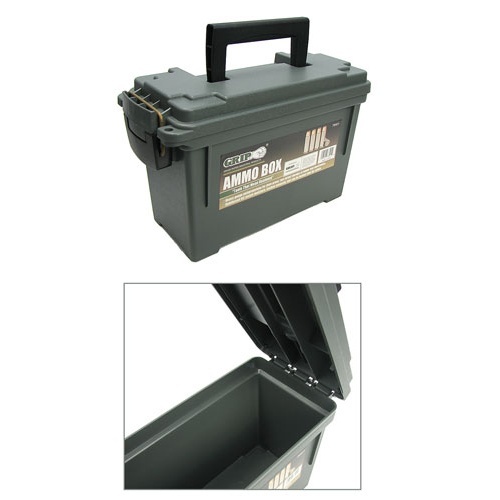 Measures 3-1/4" x 2-1/16" x 1-1/8" OD with an internal clearance of 2-7/16" x 1-5/16" x 1" and includes (4) screws for the lid. 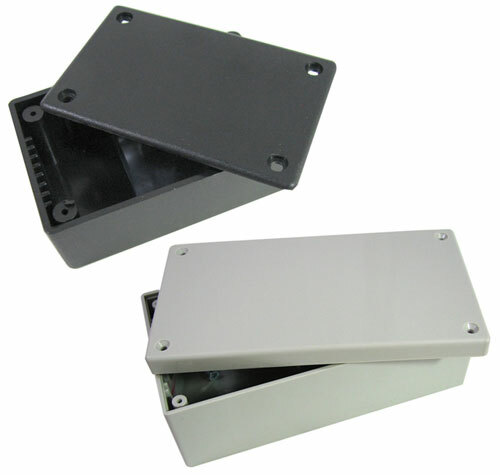 Or the large ABS box that measures 5-1/4" x 2-7/8" x 1-15/16" with an internal clearance of 4-1/2" x 2-1/8" x 1-3/8" with stand-offs for the lid in each corner and (5) PCB slots along the long edge and (30 along the short side. Includes (4) lid screws. 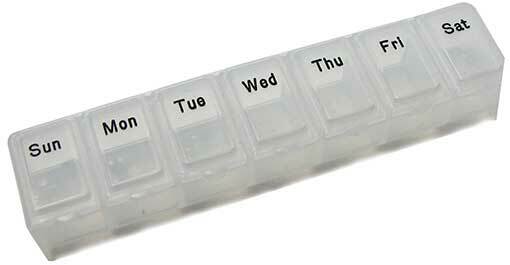 You know those big, long pillboxes with a compartment for every day of the week? 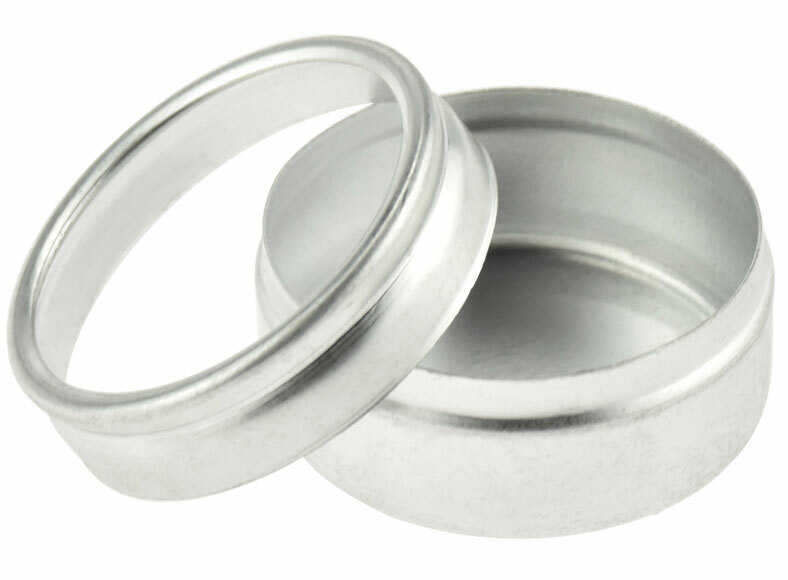 These are like that, but in a smaller, pocket-purse size, just 5-1/8” long x 1” x 7/8”. 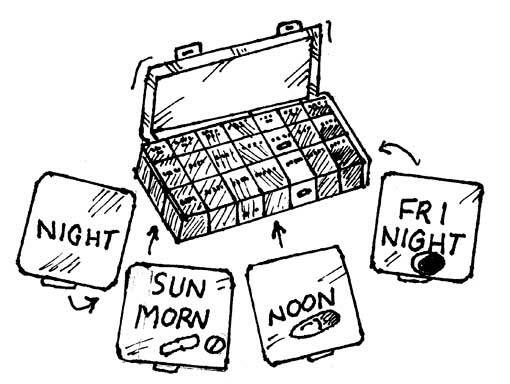 Compartments are marked with the day of the week and are 1” x 5/8” x 11/16” deep, with snap lids. In translucent white plastic. 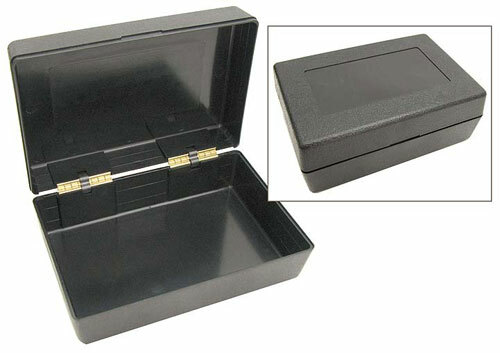 This hard-plastic black box has brass-plated, spring-loaded hinges that snap it shut or hold it open at a 90° angle. (And that don't snap off themselves after six months, like the plastic hinges do.) Measures approx 6" x 4" x 2-1/4". The surface is textured, with a 2" x 4" smooth label section on the top. You're reviewing: SILVER COLORED ALUMINUM CANISTERS (20 PACK) 1-1/4"